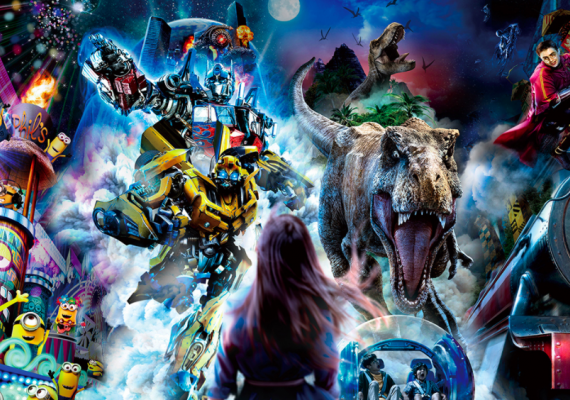 Epiphany Engineering and Universal Studios Japan! It’s finally time to start talking about it! Epiphany worked closely with Universal Studios Japan’s Creative and Production teams to develop their revolutionary UNIVERSAL SPECTACLE NIGHT PARADE for 2018. We can say no more, but keep an eye out for that big blue and red guy in the middle…..
Don’t miss the series premiere of CTV’s The Launch. Check out a preview here. There’s also a behind the scenes set tour you can watch. You can see the custom video walls and stage EE consulted on in various shots in the background. Summer is finally here, and with it come festivals and celebrations all across Toronto and Ontario! At this year’s Luminato Festival, Toronto’s Festival of Arts and Creativity, you can check out The Famous Speigeltent, a 97 year old travelling performance venue, erected in David Pecaut Square in downtown Toronto. Luminato Festival brought us in to provide engineering, site design, and permit application services to help bring this project to life. As Canada Day approaches, celebrations are being planned all over the country. One of our clients is producing an event in Toronto’s Queen’s Park, while another is in Ottawa for the Canada 150 Celebration. In Toronto, we’re providing engineering and permit application services, while in Ottawa, we provided engineering consolation in lifting a lighting structure onto the roof of the West Block Parliament Building. Happy 150th Canada! 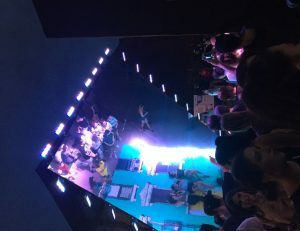 It wouldn’t be summer without the touring festival circuit, and we had the opportunity to produce an engineering design for a unique activation for one of our clients that will be touring all summer long. An ocean container featuring an angled wall of mirrors will dazzle crowds, creating interactive optical illusions for passers-by. If you get the chance, you can see it at Pride Toronto – look for the big yellow container!